Congress has a responsibility to check and balance surveillance abuses. It has failed up to this point. 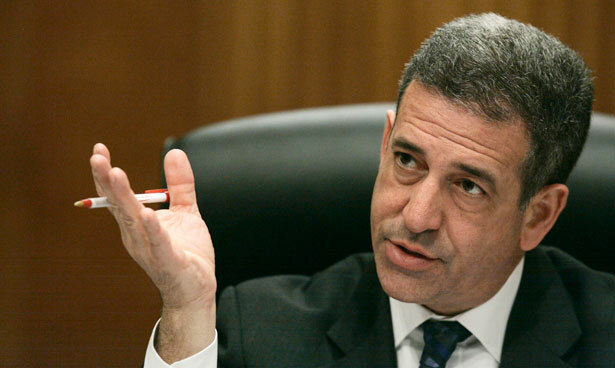 Russ Feingold is no longer in the US Senate. No one took more seriously the duty to defend privacy rights than the civil libertarian senator from Wisconsin, who served for the better part of two decades as the essential member of the Constitution Subcommittee of the Senate Judiciary Committee—and who cast the only Senate vote against the Patriot Act because of the threat he recognized to the guarantees outline in the Fourth Amendment. But with the report by The Guardian’s Glenn Greenwald that the NSA has been tracking every call by Verizon business customers, and with The Washington Post report that a National Security Agency program took e-mails and other information from companies that included “Microsoft, Yahoo, Google, Facebook, PalTalk, AOL, Skype, YouTube and Apple, it is vital that the new Feingolds in the Senate start to make a lot more noise. With revelations that "open the possibility of communications made entirely within the US being collected without warrants," engagd members of the House and Senate know that congressional response has to be far more aggressive, as past failures by the House and Senate to provide proper oversight has left the Fourth Amendment at best vulnerable and at worst shredded. Some senators think that’s acceptable. Indeed, Senator Lindsay Graham, R-SC, has declared himself “glad” that the National Security Agency is obtaining the phone records of millions of Verizon customers. And key Democrats, such as Senate Intelligence Committee chair Dianne Feinstein, D-California, have adopted a “what’s-the-big-deal?” stance that says the spying is old news that senators should have been aware of. But many of the sharpest and most engaged members of the chamber are rejecting that assessment. Among those stepping up today were Democrats and Republicans who have histories of expressing concern about abuses of privacy rights. In the House, the ranking member of the Judiciary Committee, Michigan Democrat John Conyers, Jr., and the ranking member of the Subcommittee on the Constitution and Civil Justice, New York Democrat Jerrold Nadler, and the ranking member of the Subcommittee on Crime, Terrorism, Homeland Security, and Investigations, Virginia Democrat Robert C. "Bobby" Scott moved fast to declare: "The recent revelation that the Foreign Intelligence Surveillance Court has approved the blanket and ongoing collection of telephone records — including those of everyday Americans with absolutely no ties to terrorism — is highly problematic and reveals serious flaws in the scope and application of the USA PATRIOT Act. We believe this type of program is far too broad and is inconsistent with our Nation's founding principles. We cannot defeat terrorism by compromising our commitment to our civil rights and liberties." They're calling for immediate hearings. But the real action is likely to be in the Senate. Oregon Senator Ron Wyden, a Democratic member of the Senate Intelligence Committee who has become increasingly outspoken on civil liberties issues, was quick to respond to the Greenwald story, saying: "The American people have a right to know whether their government thinks that the sweeping, dragnet surveillance that has been alleged in this story is allowed under the law and whether it is actually being conducted." Oregon Senator Jeff Merkley, who has led the fight to declassify secret rulings by so-called FISA (Foreign Intelligence Surveillance Act) courts, was even more pointed in his response to the revelations. Senator Bernie Sanders, the Vermont independent who voted against the Patriot Act as a member of the House, made no bones about his objections to Obama-era extensions of a domestic surveillance program that has swept up millions of telephone records on calls by Americans who were not suspected of any wrongdoing. The senator cut the current administration no slack. But he put the broad debate over the NSA phone sweeps—which Senate Intelligence Committee leaders say have been going on since 2007—in perspective. The key there is the reference to Congress. The inconvenient truth is that presidents, be they Republicans or Democrats, tend to claim the constitutional space that is afforded them by the House and Senate. That’s no excuse for the actions of George Bush or Barack Obama. But it is a fact that Congress has done a lousy job of checking and balancing successive administrations who it comes to privacy concerns. That’s way better than the one “no” vote Feingold cast in 2001. But it is way short of what is needed to defend privacy rights. Ideally, the pair of former senators who once expressed deep concerns about abuses of privacy rights and now serve as president and vice president would take the lead in addressing abuses. But it is an understanding that the executive branch rarely surrenders authority that had been ceded to it that led the founders to separate the powers of the federal government. They wanted to assure that, when the executive branch did not act properly, the legislative branch could step up. It is time for Congress to recognize that Feingold was right in his warning. The potential for for intrusions on the rights of Americans protected under the Fourth Amendment has been realized. And it must be addressed by a Congress that understands and embraces its role as a defender of the Constitution to which every member swears an oath. John Nichols is the author (with Robert W. McChesney) of the upcoming book Dollarocracy: How the Money and Media Election Complex Is Destroying America. Hailed by Publisher’s Weekly as “a fervent call to action for reformers,” it details how the collapse of journalism and the rise of big-money politics threatens to turn our democracy into a dollarocracy.